Singing as “Ashore for a Loaf” Paul Bewick and Willie Murphy sing a wide range of traditional sea shanties coupled with an eclectic mix of songs. The emphasis of their songs is always on a good story. They have performed in many Shanty Festivals in Ireland, the UK, Netherlands and Canary Islands. However their spiritual home remains in Rosses Point and Coney Island, Sligo. Their CD “Sailing Homewards” raises funds for the RNLI. ​Armstrong’s Patent is a six-man group, formed in 1992 in Appingedam. Over the years the group has continually kept pace with the ever-changing expectations of the audiences keeping them at the forefront of maritime entertainers. This makes them one of the premier maritime groups in The Netherlands. 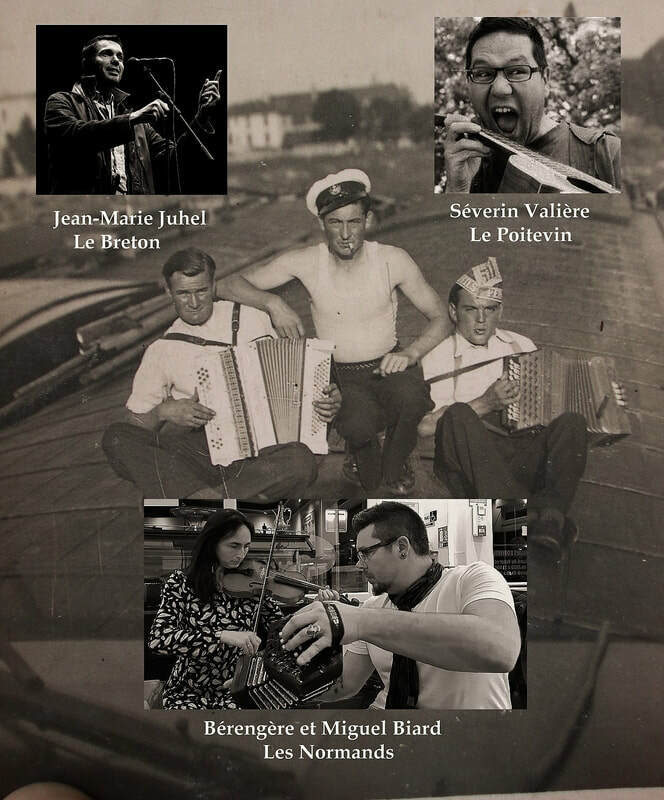 They deliver a professional yet lighthearted performance which has given them a place in the heart of the maritime audiences in the Netherlands, Germany, Belgium and also in Scandinavia, Poland and France. maritime and riverboat people tradition. Their performances are punctuated by stories of collecting, maritime and river anecdotes and historical or family references. They will introduce to you a vast repertoire of traditional songs, criminal pleasures, songs of sailors or harvest, petty repertoire and old war songs. They have performed in festivals and cultural events in France and abroad: Workum, Enkuizen, Terneuzen (Netherlands), Chicago Maritime Festival (USA), Harwich (Great Britain). 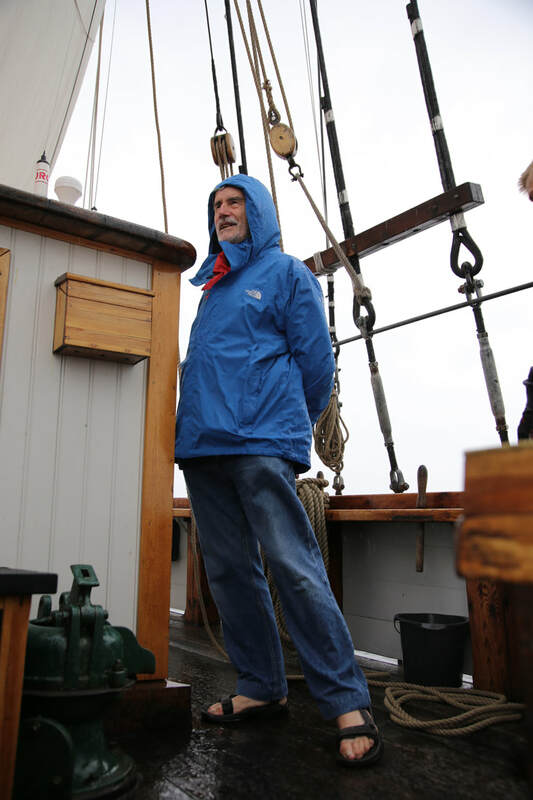 The legendary Shanty Crew ́s leader and founder member, Chris Roche, has shantied on five continents and is a square rigged Cape Horner. The Crew have been singing these songs since 1976 following a centuries old tradition of singing work songs. Where there is salt water, the Shanty Crew had been there! Chris will hear a song or shanty sung in the oral tradition or folk idiom, but he will then track it back as far as possible to the historical source. 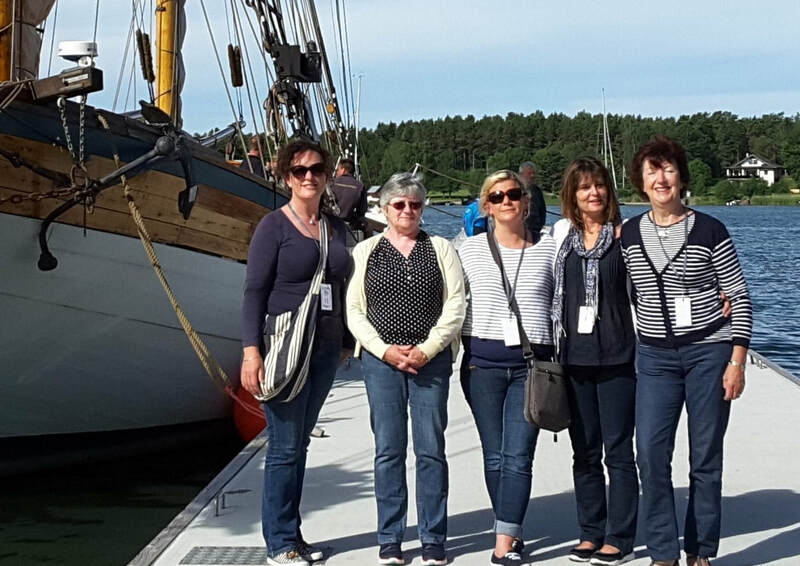 Eight Bells are a group of ladies from Rosses Point who joined together to sing shanties and have some craic (fun). Although there are not eight, as the name suggests, but five. Their name comes from the bell ringing out the change of watch on a ship. 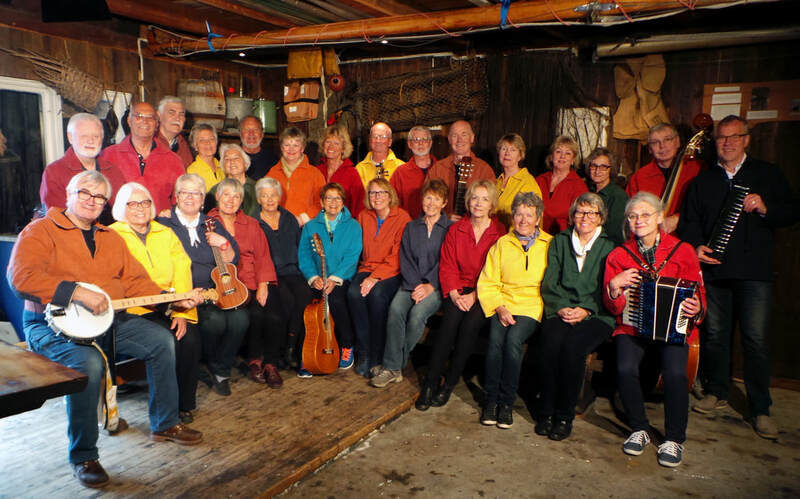 This intrepid group of ladies give the shanties new harmonies and inflections. The songs in their repertoire always have some hint of water, be it salt water or tap water, you have to listen hard to find the link. 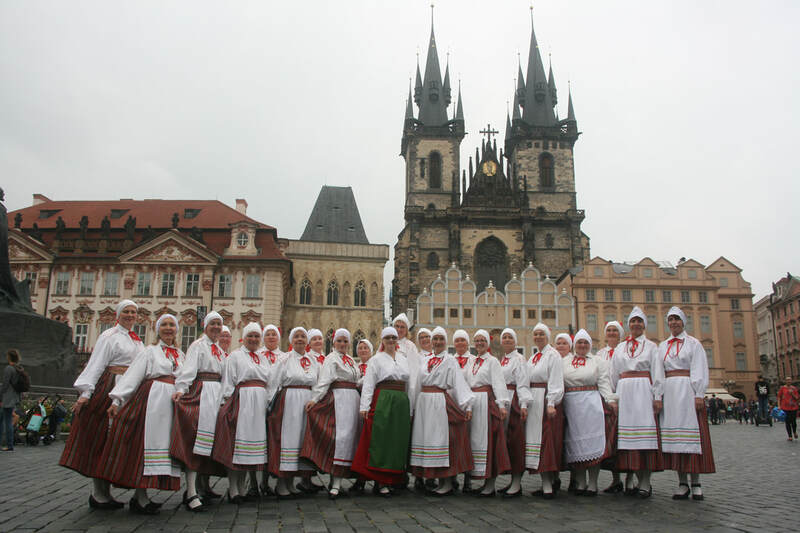 Munviga - the female choir with great energy and sweet tones, where song of joy is the driving force. 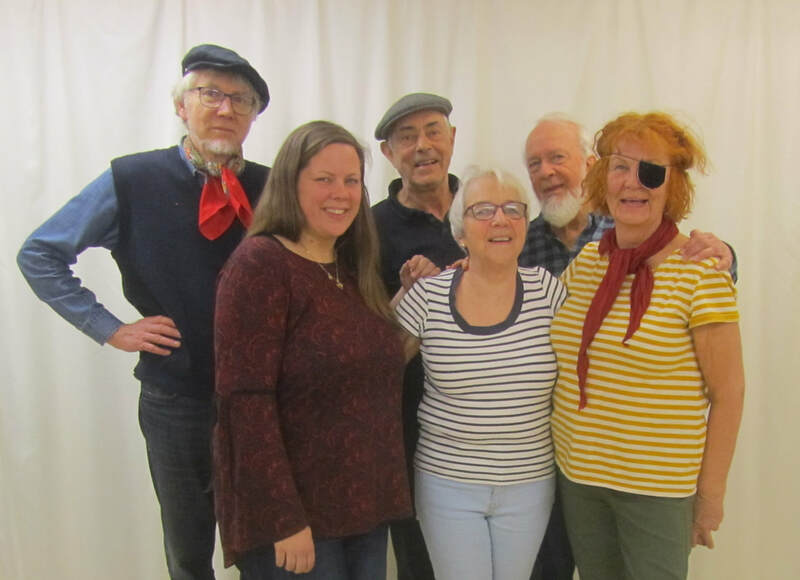 Their repertoire ranges from the sweet and delicate to shanties and drinking songs.The choir likes to experiment with the voice as an expression and to work with Music Art Performance. Munviga has participated in various songfestivals and Baltic Shanty Festival 2016. Domina is a female choir from Tartu, established in 1949. The repertoire is broad containing contemporary choral music, chorus classics, folk songs, shanties and sea songs etc. Choir conductor is Anneli Koppel. The choir has a great travelling history and has performed in many European countries as well as all around in the former Soviet Union. Domina has been kept together through the joy of singing and a desire to share it with the audience. NOR consists of 4 experienced and hardened musicians and friends from the westcoast of Sealand in Denmark. NOR plays and sings maritime music and new and traditional folkmusic. 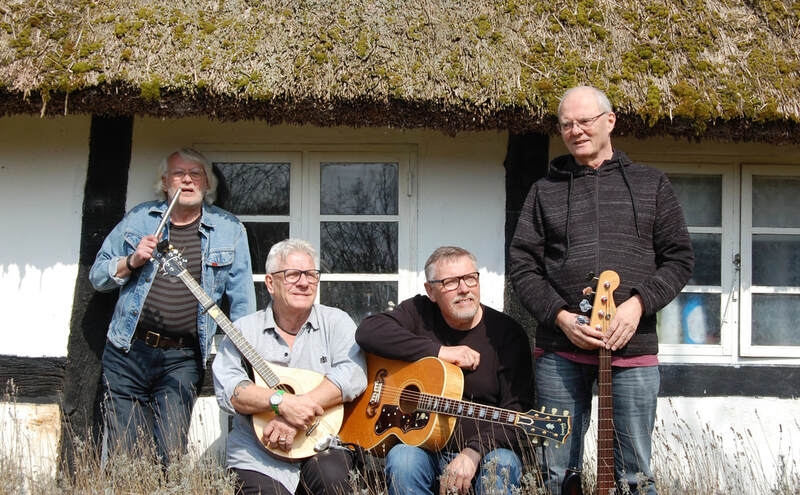 In earlier days the members of NOR played in the famous Danish shantygroup Forebitters, where they played and toured round Europe with shanty music. These songs are still a trademark of NOR, now developed and expande with their own compositions, instrumental music, stories, acapellas and traditionals, all inspired especially by the Irish music tradition. Nordre Skur og Ballast» (North Shed and Ballast) was founded 25 years ago, in 1993, as part of the «Gokstad Kystlag». It started as a ballad group with 10-12 members. The group evolved further to the present choir and numbers today 37 members. Today the repertoire is, as primarily, still songs with maritime features; much of it has been arranged by the choir's leader Kjeld Lunde. The choir has had numerous appearances at meetings, concerts, festivals and such like in Norway and abroad. 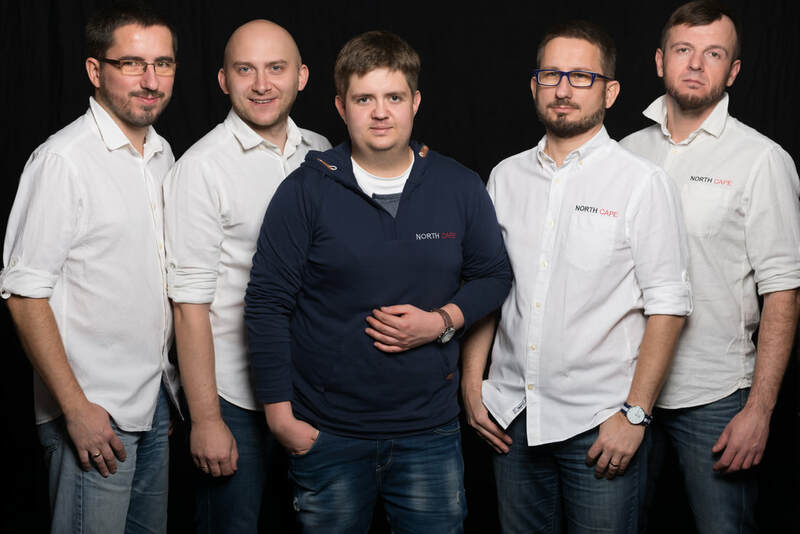 Five young men, five voices and a strong devotion – that´s all you need to make music! The group’s long-term musical commitment resulted in the creation of their own style as well as a deep respect towards the greatest instrument of all – the human voice. North Cape is one of the most prominent shanty ensembles of today and a regular at the leading international shanty festivals. They’ve also got their own shanty festival at The Silesian State Opera in Bytom called “Shanty w Operze”. friendship lends a sincerity and warmth to their performances. Robert Palomo describes himself as American of Hispanic descent who lives in Russia (yes really!) where he writes and records "new old sea songs" - original shanties and ballads with the something of the comfortable feeling of traditional maritime folk songs, but as new and fresh as a sea breeze.  Robert brings to this year´s Baltic Shanty Festival an intimate solo acoustic set. 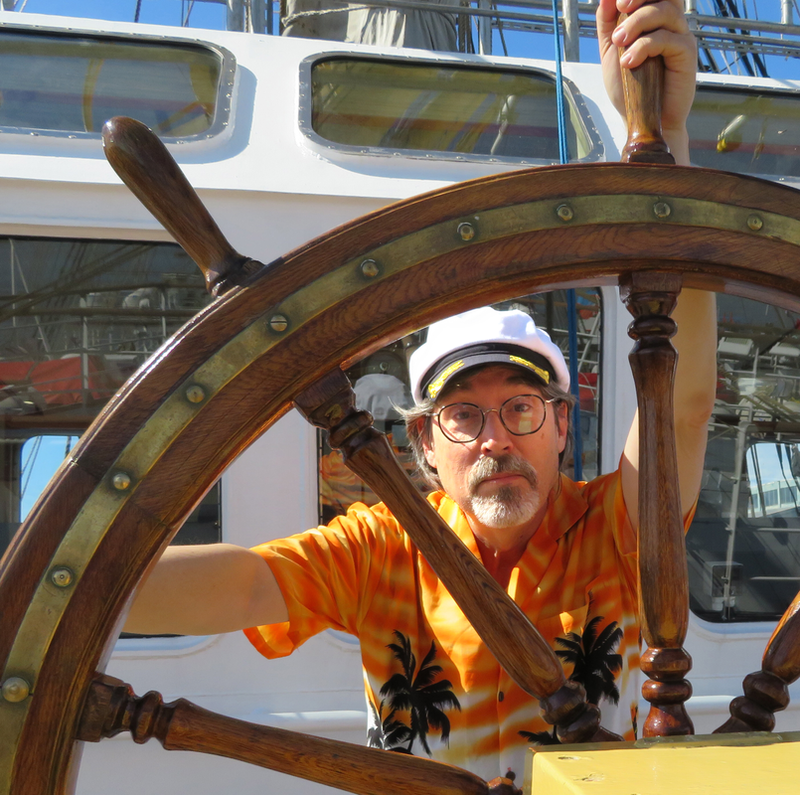 You might just find yourself pressed into service to learn some new shanties and sing along... and have a lot of fun! Sistranda Mannskor (Sistranda Male Choir) hails from Fröya, an island municipality with about 5000 inhabitants. The municipality ́s main industry is salmon farming. The choir has 25 active members. 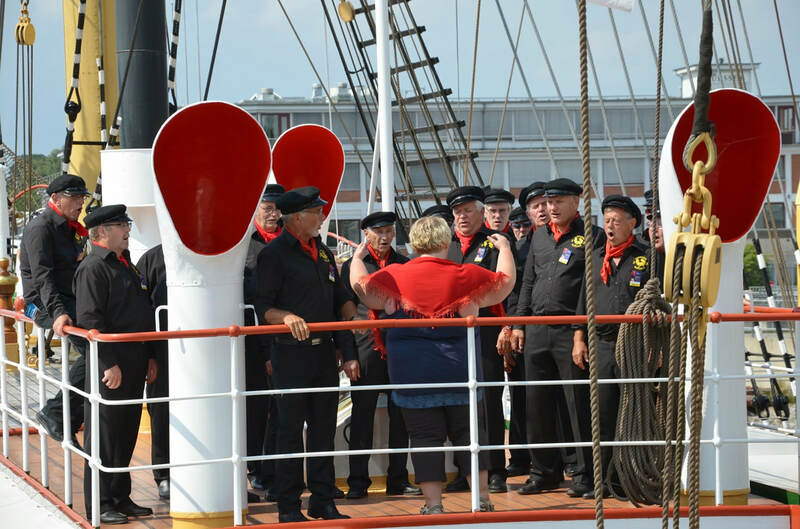 The choir has participated in shanty festivals in Langesund and Bremen. It has also toured inIreland and Lithuania with a repertoire of shanties and Irish traditional songs. Anne Dorthe Overland conducts the choir and director of the choir is Nils Jörgen Carlsen. (2) Newer, mostly well known, mostly Swedish songs with a connection to the ocean and sea life. 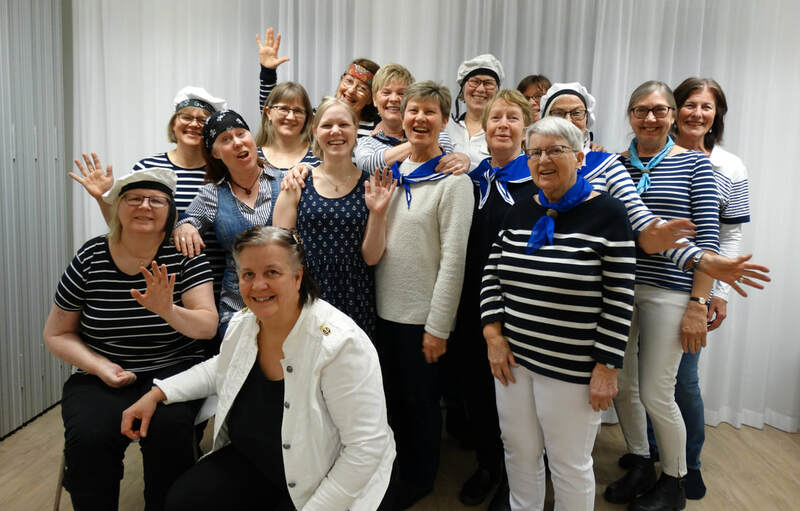 All choir members come from a bigger choir connected to Stockholm’s Folkkulturcentrum, with a broad repertoire of dual harmony songs. The choir leader, Kjell Nordenstam, has a musical background as a jazz pianist on an amateur level and also leads the larger choir.